Potters is opening its doors on Sunday 4th December 2016 for a special charity performance of its 2016 Christmas Spectacular. The Potters Theatre Company matinee show features everyone's favourite Christmas songs, as well as dazzling choreography, comedy, sparkling costumes, an orchestral section with a live band and a special 'Top of the Pops' section. All proceeds from the family-friendly show will go to Potters Friends Foundation to support worthy causes in the community. The Potters Friends Foundation is a community interest company created by the Potter Family to continue the philanthropic legacy of Brian Potter MBE, our former chairman. Its sole objective is simply to help worthy causes in our wider Potters community. We caught up with Nathan Moore, our Chief Executive Officer of the Foundation, who said: "My role is to co-ordinate the charitable activity of Potters Resort and its team. Since the Foundation was created, we have raised tens of thousands of pounds that have, and will continue to be, put to good use in our community. However, whilst any monetary donation is of course a help to worthy causes, what has become clear is that many simply require time and with our fantastic team of 580-plus, we believe that we can be a force for good in society." 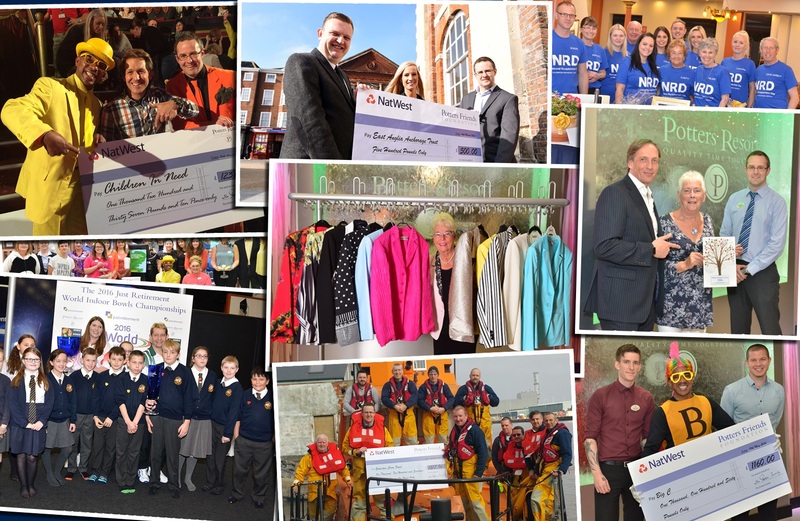 Over the last 12 months, the Potters team through the Foundation has supported causes such as Big C, Break, the Louise Hamilton Centre and the local lifeboat, as well as offering prizes for over 300 local raffles. It has also built a strong relationship with a local homeless charity, who in turn work closely with a Norwich based social enterprise working with young people from a careers perspective. Nathan adds: "We're pleased to work with the Anchorage Trust and Inspired Youth, who provide a tremendous platform for young people in our community that perhaps haven’t had the same opportunities as others. Together, they are trying to build a future for the young people they work with; it isn't just a case of finding a roof for them and then leaving them alone or funding them for the foreseeable future; by seeking to house them whilst moving them in to education or employment, it's a much more long term, sustainable project." Despite receiving no government funding up until this point (Anchorage Trust has only recently become a registered charity) they have still managed to house 48 vulnerable people, with 18 now in permanent employment, six back in education and 28 on an employability skills programme. 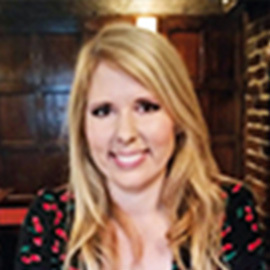 Having supported several projects since January, including the hosting of careers events, participating in business challenges in local schools, supporting charity fundraising events and many more, CEO of Inspired Youth, Natalie Davies, describes the value of the Foundation being involved in their work. Natalie said: "Potters Resort is one of the biggest employers in the hospitality industry locally, and especially in the east of the region. When we are trying to inspire young people into careers in this sector, it's really powerful to have the staff from Potters representing their industry and sharing the opportunities available to young people." Several of the young people supported by the Anchorage Trust have come away from those events with offers of work experience, leading to a number being offered local employment. Ben Stone, Founder of the Anchorage Trust, described what these opportunities means for the young people he works with. Ben said: "Many of the young people that come to us have just come across hard times and, through no real fault of their own, found themselves homeless. The work that we do ourselves and in collaboration with Inspired Youth, allows us to give them that chance to make a life of their own, with real jobs and a place they can call home. The support and opportunities that Potters provides makes a huge contribution to this process, and something that we and Inspired Youth are grateful for." Another current Foundation initiative is seeing two of our experienced chefs attend a weekly workshop at a local school for children with severe learning disabilities. The culmination of this 12 week project will see the children prepare and cook a Christmas dinner for their parents in December. We even have our Graphic Design Team involved to help the children create a menu for the night. To find out more about what the Potters Friends Foundation has been up to and to keep-up-to-date, visit www.pottersfriendsfoundation.org.